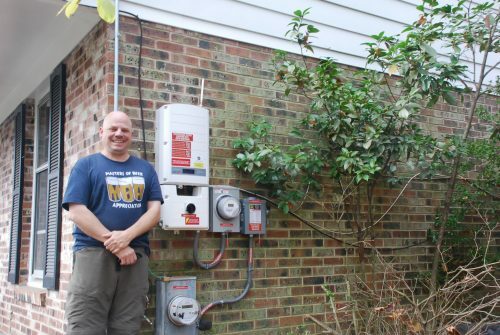 A Montgomery County, Maryland co-op member stands next to his system’s inverter and electric meter. Most solar PV systems are connected to the electric grid. These systems are called “grid-tied”, meaning that electricity can flow to and from the grid. When your solar array generates more power than your home needs, the excess is sent out onto the local grid, where it is used nearby (such as the next closest home or building). Likewise, when your solar array isn’t producing enough electricity to meet your needs (at night, or on a particularly cloudy day), you’re able to consume electricity from the grid. This ensures you always have a continuous supply of electricity. Grid-tied solar arrays are characterized by a two-way flow of power — solar electricity flowing out of your home (in moments of over-production), utility electricity flowing into your home (in moments where extra utility electricity is needed). So how do you get credit for the extra electricity you produce? And how does that affect your electric bill? The answer: net metering. In the old days of analog meters, your utility meter would spin forwards when you consumed electricity from the grid, and backwards when you produced electricity from your solar array. The meter would then “net out” the difference at the end of each month. The resulting bill would reflect the “net amount” that the meter reader saw on the dial (the difference between production and consumption). The same concept holds true today — only with digital meters, not analog. If your monthly solar electricity production actually surpassed your utility electricity consumption, you’d end up with a negative bill credit. That credit may be carried over to the next month’s bill like cellphone roll over minutes. This arrangement is called net metering. Net metering is the policy that makes compensation for your solar electricity production possible, allowing you to offset your electric bill with that production. Net metering is a state-level policy — passed by state legislatures and varying from state to state. In most states, net metering allows for a one-to-one credit for your solar electricity. In other words, the electricity you produce is equal in value to the electricity you receive from your utility. So, if your solar array produces one kWh of electricity, you can directly reduce your electric bill by one kWh. If that kWh of solar electricity is generated when you don’t need it, you will receive a credit for the full retail value of that kWh, which you can then use to offset your electricity consumption at a later time. States’ rules vary in how and when they calculate the net metering credit, see below for state-specific information. Before you can install your system, your utility must first approve it. Your installer will submit the preliminary interconnection paperwork with your utility on your behalf, making sure the size and location of the solar array is approved by the utility. Once the array is installed, your local jurisdiction will inspect it and your installer will submit a request for interconnection to your utility. 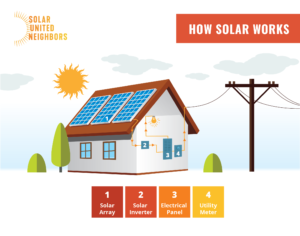 Interconnection is the process through which your utility connects your solar array into their grid, allowing for the flow of power between the two. Once approved, your utility will visit the installation and install a two-way meter, which allows for more accurate reading and reporting of your solar electricity production. Once the two-way meter is installed and your utility gives you formal “permission to operate,” you can flip the switch on your solar array. Smooth, timely, and cost effective interconnection is a key element of net metering. Each state has its own net metering policies. Solar United Neighbors wants to help everyone going solar understand how net metering works in their state. Doing so is key to making sure your investment is valued properly and compensated fairly. System capacity limit: Utilities or public commissions often limit the total system capacity (i.e. size) you may install. These policies usually cap a system’s production to no more than a certain percent (often between 100 percent and 150 percent) of the customer’s yearly electricity consumption. Excess generation credit rate: When your system produces more electricity than you need, your utility is obligated to compensate you for it thanks to net metering. Typically, utilities will compensate you for any excess electricity you produce on a 12-month cycle. Where this is the case, you can use your excess production credits for up to a year. The rate of compensation for this excess solar production varies greatly between utilities. Many utilities credit excess production at the full retail rate, enabling the “one-to-one” crediting discussed above. However, some utilities are moving towards crediting excess solar production at a lower rate. Where this is the case, you’ll want to consume as much of your solar electricity on-site (i.e. not export it to the grid) as possible. 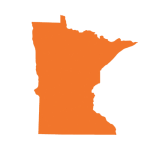 State-wide net metering cap: In many states, policies limit the total amount of energy that can be net metered state-wide. These rules harm states by hamstringing solar deployment. In many cases, the state-wide net metering cap was set very low (often less than 3-4% of total utility electricity sales) when legislators enacted it years ago. Many states are looking into raising this net metering cap in order to support the continued growth of solar. Applicable utilities: Net metering laws and regulations can vary between utility territories. Municipal utilities, rural electric cooperatives, and investor owned utilities may have different net metering policies and enforcement mechanisms. For example, many state net metering programs are only enforced by state regulators for larger investor-owned utilities. Many times, rural electric cooperatives and municipal electric authorities are exempted. 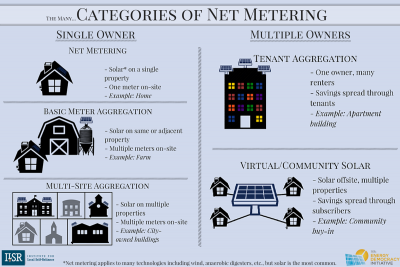 Policies expanding net metering: Several different types of net metering exist, as detailed below. Some states have passed laws that allow for virtual or aggregate net metering in order to broaden access to solar energy for residents and businesses. Additional barriers: Within net metering, utilities and public service commissions (i.e. the utility regulators) may deploy additional barriers to make it harder for individuals to go solar. These may include additional fees when interconnecting to the grid, lengthy approval processes, and confusing tariffs. Each of our state net metering pages below lay out what you need to know when considering going solar in your state. Source: Institute for Local Self Reliance. Aggregate net metering: This common policy allows a solar owner with more than one electric meter on their property to credit their surplus solar electricity from one meter to another meter (on the same property). Aggregate net metering is most common on farms, and is commonly referred to as “Agricultural Net Metering.” A farm may have multiple buildings (each with its own electric meter), of which only one roof is good for solar. Often times, that good-for-solar building may have very little electric demand (e.g. a barn). With aggregate net metering, the surplus electricity produced at that building’s meter can be credited to one of the other buildings on-site that has higher demand (like a house). In many states, aggregate net metering is limited to farms. Tenant aggregation allows multiple occupants of a single building to share electricity or receive proportional credit from an on-site, shared installation. As of October 2016, 17 states have meter aggregation policies. Virtual net metering: Virtual net metering allows multiple utility customers (called ‘subscribers’) to receive credit for the electrical output from a single solar project or installation. Community solar applications for virtual net metering allow ‘subscribers’ to receive bill credit for output or proportional share of an off-site solar installation. As of 2017, fewer than 20 states have virtual net metering policies. To learn more, see our community solar Learn the Issues page. Common utility billing questions for new solar homeowners – A Solar United Neighbors original article about how to make sense of your electric bill after going solar, taking into account net metering and the generation of excess solar production credits. 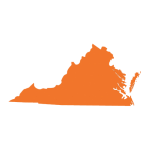 Database of State Incentives for Renewables & Efficiency (DSIRE) – The DSIRE database is administered by the NC Clean Energy Technology Center and catalogs the different energy policies in each state. 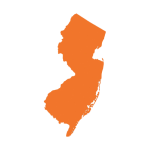 You can filter by state to learn more about the net metering policies in your state. Reversing the Grid – A 99 Percent Invisible Podcast about net metering. 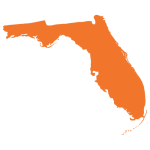 State Net Metering Policies overview – This resource from the National Conference of State Legislatures provides background on the different types of net metering policies across the country and in which states they apply. Two victories for net metering – A Solar United Neighbors original article detailing the recent decisions of Nevada and Colorado to extend their net metering programs. Punishing solar customers for disrupting outdated electric model is wrong – Vote Solar explains why net metering is a fair way to account for the electricity solar homeowners generate. We continuously monitor net metering policy changes across the country. Some states are expanding net metering while others are attempting to roll it back. 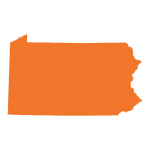 Solar United Neighbors remains the only organization dedicated to activating solar owners to support net metering advancements and fight against net metering attacks in their backyard. 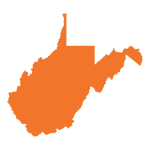 In West Virginia, we mobilized supporters in 2015 to prevent the legislature from repealing the state’s Alternative and Renewable Portfolio Standard, which included the state’s net metering legislation. 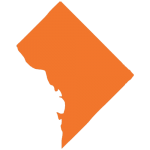 In D.C., our members filed complaints with the D.C. Public Service Commission to force PEPCO to revise its interconnection process to ensure hookups within 30 days. 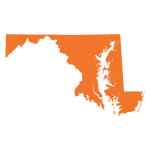 In Virginia, we made sure the interests of solar homeowners were protected in a closed-door solar policy forum between state official and utilities, thwarting a proposed attack on net metering. In Florida, we’re fighting a decision by the Jacksonville Electric Authority to severely cut the credit solar homeowners receive for their generation. 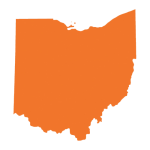 In Ohio, our members advocated for net metering improvements during the Public Utilities Commissions of Ohio’s 2017 workshops on net metering rule review.